Yup, that’s definitely a leg. And maybe a foot. 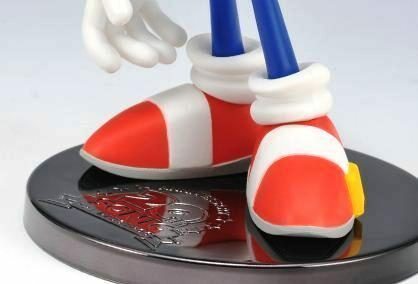 It might belong to Metal Sonic, but it’s hard to tell. And that is all there is to say about this, no really, there is nothing else to say. Unless anything else happens. As usual we’ll let you know. See you tomorrow. 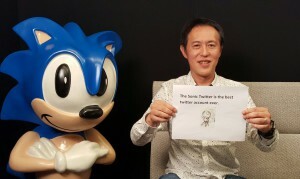 Feel free to speculate what this means in the comments. Actually… lets have some fun… you can only pick one. Let us know if you follow the foot or obey the thigh in the comments. UPDATE: Polygons Nick Robinson apparently knows what it is, so if the press know then it might be something worth keeping an eye out for. when i saw the full piece for the first time i said out loud "GOD that is perfect"
Today saw the Sonic the Hedgehog Twitter account featured on prolific internet social media hub Buzzfeed. For those who aren’t connected to the Twitterverse, you will have missed the rather spectacular recent awakening of the account, which gained a new level of sentience this year. 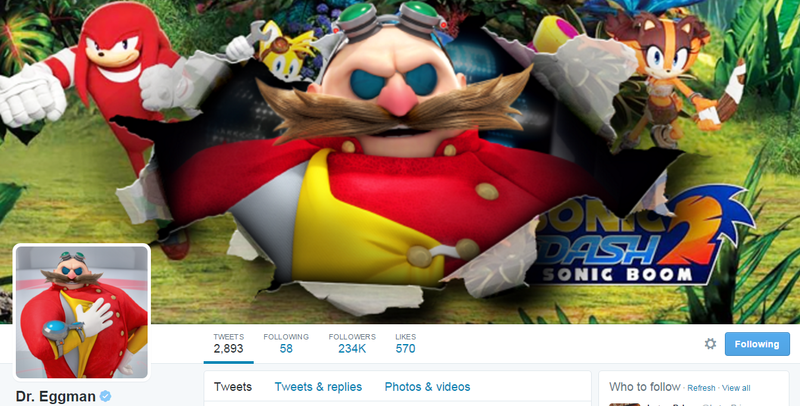 In among it’s now self-awareness of the sizable collection of Sonic the Hedgehog internet memes, the account also called out several big name commentators and competitors this year, including Nintendo, and was temporarily taken over by Doctor Eggman for a day (although we’re sure we’ve heard that voice somewhere else before). Needless to say this has caused several internet-breaking moments, so much so it has caught the attention of many media outlets. 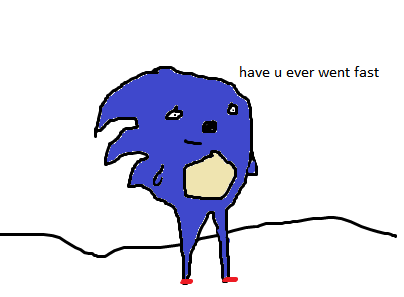 We at TSS salute the Sonic Twitter account and crafty creatures on the media team running it (including a certain Aaron Webber! 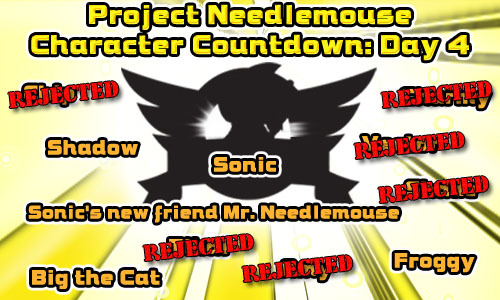 ), and we can’t wait for the next post! Well whatever your views on Amy herself, you should still have a friendly laugh all the same. Oh and I think it goes without saying, but please, keep it civil. Like Reggie Fils-Aime said; there’s nothing wrong with having a little fun. Twitter user Ceej64 has alerted us that she was able to buy an Xbox 360 copy of Sonic Generations at her local Best Buy in Dallas, Texas. 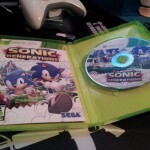 Ceej64 shared a photo of the game (above) and her Xbox Live Gamertag PMS KillerKitty (as publically shown on her Twitter) currently shows the game is in use. 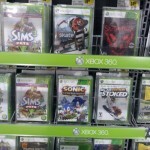 Our very own Brad Flick reports on Twitter that Best Buy in Burbank is also selling the game early. Thanks to Ceej64 and Brad for the heads up! 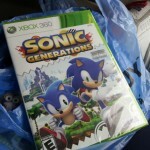 SEGA of America community staff member Kellie has confirmed via Twitter that Kinect for Xbox 360 is the only control method for Sonic Free Riders. 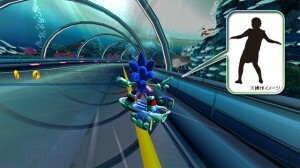 @SEGA does sonic free riders for kinect is it possible to use just the control? 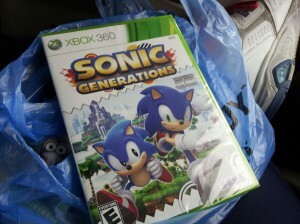 like for those who cant afford a new 360 and kinect? Since the games official announcement some fans who are unsure about the new Kinect for Xbox 360 technology and those who don’t like motion controls in general have been wondering if ordinary controller compatibility will be in the game but now it looks like Kinect is your only option. 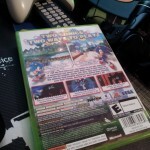 From what gameplay footage we’ve seen of both single player and split-screen it appears the game plays fine thus far with the Kinect device not having any problems detecting movement from both SEGA representatives demonstrating the game and controls can only improve during development in the run up to the games release of Late 2010. What are your thoughts on this news? Let us know in the comments. Thanks to tjthefox for the heads up!